According to multiple reports, the alleged Nokia 9 will have five cameras on the back panel and an LED flash. Three out of the five cameras are said to have Zeiss optics. The rumoured Nokia 9 is said to be one of the most anticipated smartphones to launch in 2018. Previous reports have tipped at 41MP triple camera setup on the back of the phone but a new image of the alleged Nokia 9 has surfaced on the internet apparently flaunting a 5-camera setup on the back panel. 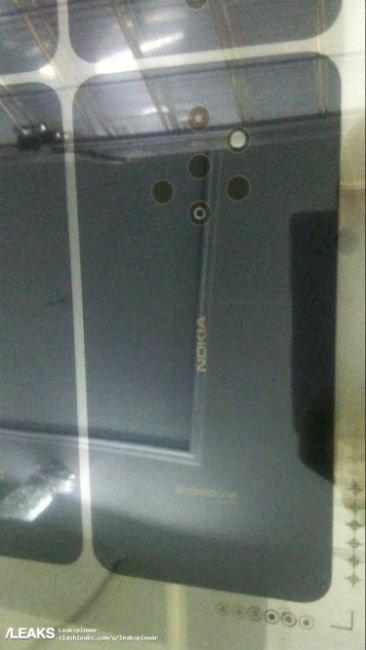 The image was leaked by Slashleaks and shows a device with six camera-like cutouts and Nokia branding on the back panel of the smartphone. Several follow-up reports have claimed that out of the six cut-outs, five are for the cameras, of which three feature Carl Zeiss optics. Not much is known about the other two cameras. The sixth cut-out is said to be for the LED flash. Also, there is an Android One branding at the bottom of the back panel. 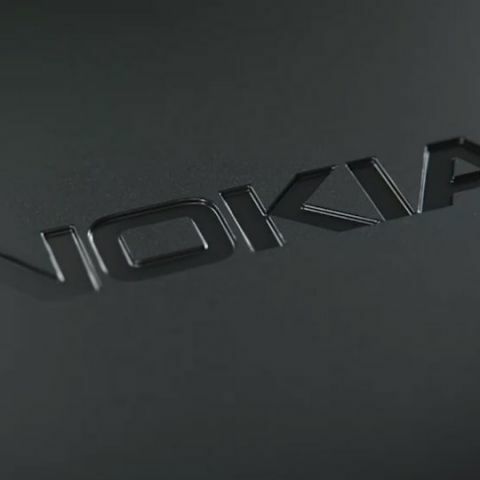 Back in April, Slashleaks leaked the alleged specifications of the rumoured Nokia 9 along with an image of the phone. At that time, the image that was leaked showed three rear cameras similar to the Huawei P20 Pro. As per the older report, the Nokia 9 could be equipped with a 41MP primary wide-angle camera, a 20MP secondary telephoto lens and a 9.7MP monochrome camera with ZEISS optics. The main camera could come with 4x optical zoom support and an LED flash, and the device might feature a 21MP sensor on the front. In January, however, a report claimed that it will be the Nokia 10 that will carry a penta-lens camera setup. The report noted that the Nokia 10 will go into mass production by mid-2018, but will be unveiled in the first half of 2019. It was also speculated that the company will showcase a prototype of the penta lens smartphone at MWC 2018 and launch it at IFA 2018, however that did not happen. We will have to wait until the company officially announces any development in this space.